Many of the global problems faced by agriculture are only set to increase in severity in the future with further population growth, warmer temperatures and drier soils. The future would be looking decidedly bleak for farming and food production if it were not for advances in technology and their potential to tackle these major challenges head-on. The investment, research and innovation in the Agri-Tech sector offers a beacon of hope. The Agri-Tech sector is where technology is being utilised to provide solutions to problems in agriculture, farming, and food production and distribution. Scientists, technologists and engineers are joining forces with a whole range of start-ups and more established companies to focus on agriculture innovation. It’s important to consider the historical context to better understand the issues that agriculture faces today. Since World War Two, there has been a need to increase agricultural productivity to keep up with food demand and ultimately keep prices down. Then, in the 1960s and 70s, the ‘Green Revolution’ saw farms become businesses. Farmers were now looking carefully at ROI, examining the cost of their inputs (seed, water, and nutrients) against the money they were generating from their harvests. Today the demands on farmers are ever-increasing: resources are stretched and the input costs have generally gone up. These challenges have a very real economic impact – with farms struggling to operate as profitable businesses. So where do we go from here? Step up Agri-Tech where new technologies are being developed to allow farmers to increase productivity and reduce costs. The focus is on increasing productivity through technology and data rather than developing more land for agricultural use. In response, the UK government is investing £160 million into its Agri-Tech strategy to put the UK firmly at the centre of the Agri-Tech revolution. There are numerous real world problems affecting farmers in the UK and around the world. Technology has the potential to solve these problems whether this is with big data, drone technology, robotics, vertical farming or the application of other new technologies to the agricultural industry. The need and amount of research and development (R&D) is therefore huge. In the UK, there is the opportunity for Agri-Tech businesses to take advantage of HMRC’s R&D tax credit schemes in order to claim back money to further invest in their research. The HMRC test for genuine R&D is whether an ‘appreciable improvement’ has been found, addressing a ‘scientific or technological uncertainty’. The Agri-Tech sector is therefore a potential hotbed for R&D. Path-breaking new technologies are being applied to solve problems and make farming processes appreciably better, often by improving efficiency with greater yields for less input. There are many companies helping to solve global problems that could be benefiting from R&D tax claims. We are going to take a closer look at some of the key areas of R&D in the Agri-Tech space. The potential of Big Data to affect major change in all sorts of areas is much lauded. However, it could be the Agricultural sector that sees the biggest impact. 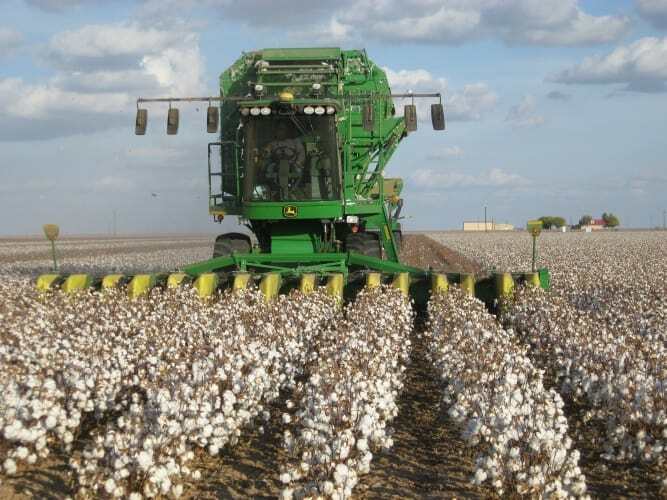 When it comes to its application in agriculture, big data analytics has the potential to dramatically improve efficiency and drive productivity up, working towards maximum output for minimal input. 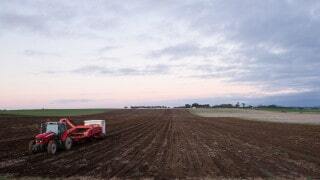 It also has a significant role to play in minimising the environmental impact of farming. Sensors are now fitted on most pieces of farm machinery and are used to gather data and track various changes. These sensors can record information on soil quality and moisture content, the effectiveness of seeds and various types of fertiliser, the performance of crops and even the spread of disease. A huge amount of data can be collected from a wide variety of sources, covering a number of different areas of farming. This data can then be collated and processed with special programs and analytical software, making it accessible to farmer businesses and enabling them to make very precise decisions based on this information. By constantly measuring, analysing and adjusting when it comes to how they manage their fields, farmers can improve performance dramatically. When it comes to big data, it can be that a farmer uses the data they collect to make more informed decisions on where to plant what crops, and then how to best tend them. Yet the real power of big data is when you imagine combining the data from multiple farms – farms could share their data with other farmers in a region, country or even upload it for the benefit of a global community. Collecting, aggregating, and analysing all of this data in real time could improve productivity dramatically. On a larger scale, big data could identify emerging trends and lead to optimised planting and crop management, the identification of diseases and the creation of better seeds. Already data analysis has reduced input costs for farmers and increased yields with crops more accurately and successfully managed. To help realise the potential of big data and informatics, the UK government has created a Agrimetrics. Agrimetrics is a joint venture between Rothamsted Research, the University of Reading, SRUC and NIAB. The remote monitoring of various aspects of the farming process can provide data that helps improve the farming process and cut costs. This can cover everything from the amount of fertiliser left in a tank level to soil and water management. As well as removing the need for a person to do this manually, it also helps provide data and in turn insight into usage. Farmers can print the circuits using an off-the-shelf inkjet printer, and may even be able to download their own sensors in the future. One application of big data is in Precision Agriculture or satellite farming. By using satellite technology alongside other data gathering technologies to observe and record the performance of crops across different fields, farmers have information on how to best manage their fields. According to NESTA, around 60% of UK farmers already use some sort of precision agriculture on their farms to optimise returns on their inputs. It doesn’t stop there either – big data, collected from all of these sources, will feed back into many of the Agri-Tech technologies being developed, improving their efficiency further. Leading on from this, the Agri Internet of Things refers to how all of these existing and new technologies will communicate with each other and utilise the power of big data. High speed and robust broadband is essential for the Internet of Things, but is sadly not available in all regions. One start-up making a big impact with the Internet of Things is The Yield. They utilise IoT technology to help improve yields and profitability by using a network of wireless sensors to collect localised data. An analytics programme then transforms this raw data into valuable information. It is no surprise that a number of start-ups are entering the Agri-Tech market looking at big data analytics, crowdsourced data and real-time monitoring. The challenge they face is to make the data meaningful to farmers so that they can better manage their fields to increase profits and minimise their environmental impact. It’s important to point out that when it comes to big data, there are some major issues for farmers around who owns the data and about sharing any information with their competitors. Developments in robotics, drones and AI all have the potential to solve some of the big issues facing agriculture, in particular by improving productivity and helping reduce the need for human labour and the associated costs. Autonomous robots or agribots are already used by farmers to water, fertilise and harvest some of their crops. With further agribots being developed to carry out a number of tasks including soil and crop scouting and automated harvesting of different crops, the potential to improve productivity in the UK and around the world is huge. Robot harvesters also prevent crops from rotting in fields, which represents one of the biggest losses in farm revenues. If you think that a robot can potentially work 24 hours a day you can see how this would increase efficiency and save on expensive manual labour costs. When it comes to developing robot harvesters to perform farming tasks usually performed by humans there are a number of challenges. For examples, when crops such as lettuces and cauliflowers are covered in layers of extra vegetation, robots are unable to determine which ones are ready for harvest. Engineers at KMS Projects and Vegetable Harvesting Systems (VHS) are looking at developing robots that use Infravision and scanner technology based on radio frequencies, microwaves, terahertz and the far-infra red in order to tell when a cauliflower is ready to be harvested. The European Commission is developing an agricultural robot for sweet pepper harvesting as part of a €4M project. The Sweeper team are also researching machine vision, trying to make it possible for the robot to correctly identify the peppers. After finding the pepper, the robot then needs to be able to grip and cut it. There is a similar Broccoli Bot that harvests broccoli, a crop still often harvested by hand. Another impressive agribot is the IBEX, which has been developed by a consortium of SMEs (Hunshelf Hall Farm, G32 Technologies Ltd and Digital Concepts Engineering) to operate on remote farmland where it is “uneconomical to spray manually, or too dangerous to drive with a tractor”. The IBEX weed sprayer is currently being trialled in the difficult sloped terrain of Yorkshire. The robot employs a combination of sensors and Bayesian machine learning software to navigate autonomously, covering a user-defined area or an optimised route. IBEX has the potential to reduce the high costs of spraying manually and be affordable to farmers. Drones are being used to provide aerial images to farmers to enable them to identify weeds and disease. Piloting the drone from the ground, farmers are able to survey their land (potentially covering over 1000 acres an hour) and capture whole fields in single high-resolution shots. They can then analyse these detailed images to facilitate highly accurate spraying programmes to prevent the spread of disease and kill weeds. When these images are used in conjunction with data collected from other monitoring devices, farmers can make better decisions about how they manage their fields. This can help cut input costs and ensure maximum yields are achieved. One company working with drone technology is Skyview Robotics who use drones to survey and monitor agricultural environments. Their strapline is: “Harnessing the power of technology to solve problems before they happen,” highlighting how these images can provide insight into crop health and allow farmers to identify weeds so that fertilizer can be applied efficiently. 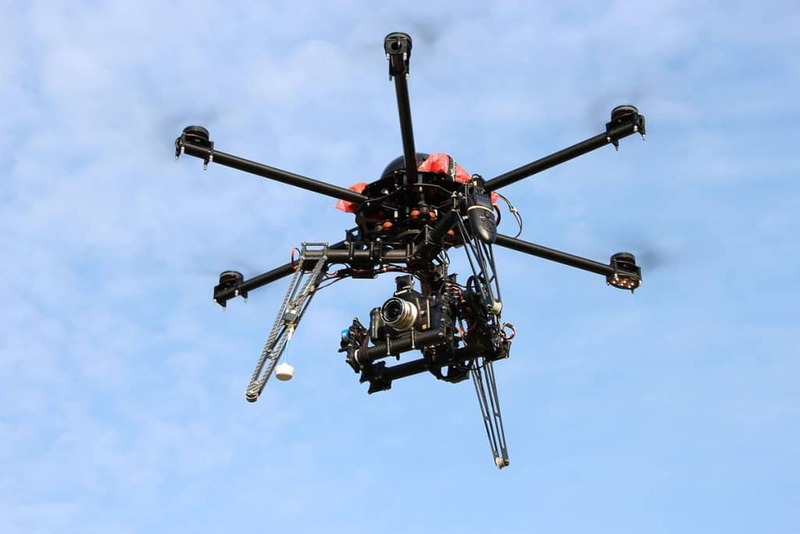 DEFRA now offers a remote crop sensing grant for farms towards drone imaging services. Tractors can already drive themselves across fields using GPS signals. Smart or intelligent tractors are equipped with various sensors and technology that means they can be directed using big data and drone imagery around the farm. They can be programmed to take the shortest routes in order to reduce fuel and cut down on damage to crops and soil. An ongoing struggle for agriculture is around resources such as water, sunlight, soil and land. The Agri-Tech sector is looking at innovative ways of dealing with scarcity in these areas, investigating ways that technology can provide the ideal environment for crops. A big area of Agri-Tech is Vertical farming. These indoor farms as the name suggests are based on farming crops indoors in trays that are stacked in racks vertically. It is a method that uses less water and less land to grow food as well as ruling out exposure to pests. Since it can be set up anywhere, the food doesn’t need to be transported long distances. It therefore works particularly well in urban environments where it can use under utilised warehouse space. Many vertical farms use only a fraction of the water required in an outdoor field and rely on LED lights. AeroFarms, a vertical farm in New Jersey, has trays stacked 30 feet high and uses 95% less water and 50% less fertiliser than traditional farms. In Japan, lettuce production company Spread is due to open a new large scale vertical farm in 2017. Their existing Kameoka Plant currently produces about 21000 lettuces per day. 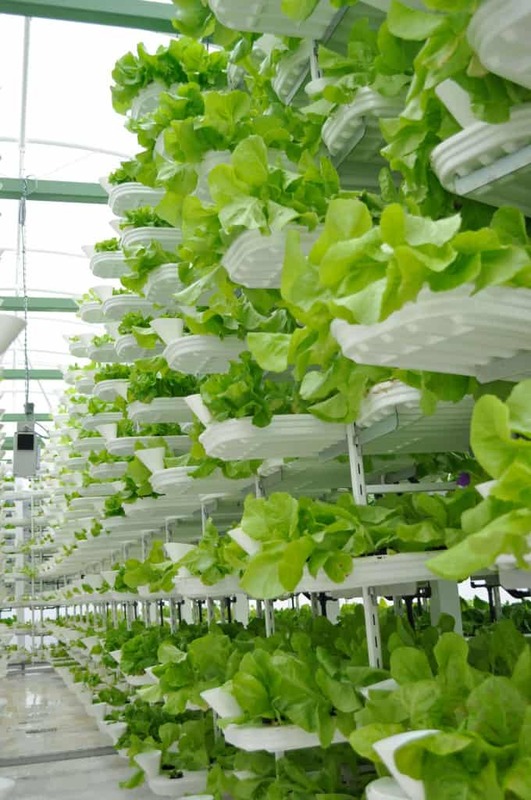 According to Business Insider, Spread’s new automation technology will produce more lettuce as well as reducing labour costs by 50%, cut energy use by 30%, and recycle 98% of water needed to grow the crops. So Bristol is Europe's 2015 green capital, and apparently some people are sceptical. After all, if you live in Bristol you've probably also experienced the peak-time congestion, and tasted the accompanying distinctly metallic tang to the air. Much closer to home, Growing Underground operate a carbon-neutral urban farm in a World War Two air raid shelter 115 feet below Clapham in South London. The 1,805-square-foot urban farm uses hydroponic techniques to create pesticide-free crops like pea shoots, coriander and red amaranth. The plants are watered mechanically and lit by ultraviolet light itself powered by renewable electricity sources. One of the main issues with vertical farms, and one of the reasons why Google X axed their automated vertical farm project, is that staple crops like grain and rice can’t currently be grown in this way. There are also issues around the energy used with LEDs and the corresponding carbon footprint. That being said, vertical farming is an area of great potential and some serious R&D. Another way of getting around the issue of a lack of farmable land has been proposed by Forward Thinking Architecture in Barcelona who want to build ‘smart floating farms’ on large bodies of water. It would have a stacked hydroponic organic crop farm and feature solar powers to provide energy. There are serious issues with the costs of building and running such farms, and their ability to feed people but it is certainly a fascinating proposal. Another process that Agri-Tech is looking to improve is that of soil and water management, providing a solution to issues with scarce resources. Water scarcity and water pollution is an issue faced by many farmers. Smart water irrigation is all about using technology to lower costs and increase yields. It does this by systematically and accurately delivering water and nutrients only to the growing areas that actually require water. It is a method that delivers water (as well as nutrients and in some instances fertiliser) to the crops in the most efficient way, preventing wasteful run-off. The plants are given all they need to thrive via drip irrigation systems or drippers. Sensors in the soil and attached to the plant roots monitor various conditions and feedback into a computerised smart irrigation system which then delivers the required amount of water at the right time. As J. Piesse and C. Thirtle state in their essay on Agricultural R&D, technology and productivity – “As crops become less genetically diverse, the risk posed by new pests or viruses increases.” Diseases pose a very serious risk to farms and therefore effective disease management, powered by technology is going to be a key area for Agri-Tech. The so called ‘cereal killers’, which include the rust fungi that is affecting resistant wheat strains – is just one example. As mentioned, drone technologies and satellite imagery can help identify diseases quickly and sensors can help gather data on the emergence and spread of the disease. Are you innovating in agri-tech? The UK is on the verge of becoming a world leader in Agri-Tech and the R&D tax credit scheme will play a key role in helping realise this ambition. R&D has an important role in solving real world issues both in the UK and elsewhere. Innovative businesses looking to solve agricultural problems with technology may be able to claim back tens or hundreds of thousands of pounds to continue their research and help improve the lives of farmers across the world. If you are developing products or services that could help increase yields and improve efficiency for farming, and would like to ensure you are maximising your use of R&D tax credits then contact ForrestBrown today. ForrestBrown understand the research areas that are likely to contain qualifying R&D expenditure and help you claim back tens, or even hundreds of thousands of pounds each year. Find out today if your business can qualify by speaking to one of our expert advisers. Get in touch with us by phone or email to discuss your situation with our dedicated R&D tax specialists.